Air humidification from FINESTFOG for the industry and the office. Industrial Humidification for all purposes. With 25 years experience FINESTFOG is one of the leading experts for industrial air humidification and water treatment in Europe. The extremely fine mist generated by FINESTFOG high-pressure water systems humidifies and cools virtually any interior space – energy-saving, quietly and hygienically absolutely safe. FINESTFOG water treatment systems produce process water for air humidification and printing machinery. This is air humidification without pressurized air or fans. Finest mist that humidifies and cools, even when total silence is a must: for instance, during theatre performances. 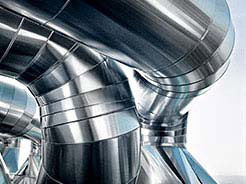 Use existing ventilation ducts for room humidification: FINESTFOG conveys the optimal climate from a central point to wherever it is needed. 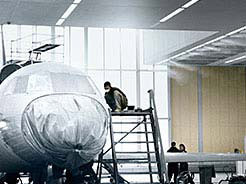 From A as in automotive to Z as in zoo; from office to production hall: air humidification for virtually any type of application and a huge range of room sizes. Water pressure instead of pressurized air. The nano bore diameter of FINESTFOG single-medium nozzles enables air humidification with an energy saving potential of up to 90%. Top priority is trustworthy hygiene. Water and air are not in contact within the system! No chance for germs thanks to integrated safety technology. Pure water, soft water, fountain water: FINESTFOG water treatment generates process water that meets the requirements of air humidification and printing presses. FINESTFOG is happy to announce Samuel Nestout to the new position as Sales Manager France. Samuel has already served for more than 10 years in our business and therefore brings in enormous experience in Industrial Humidification Solutions. He recently started his new position and will be responsible for the French market as well as for the French speaking markets in Belgium. FINESTFOG is looking forward providing now to our customers in France exceptional local service. Please welcome Samuel in the FINESTFOG family. Very soon, Thursday September 25th the european trade fair for packing solutions open the doors. FINESTFOG is attending. In Nuremberg / Nürnberg showing Highlights especially developed for the requirements of our customers. Visit us on the FACHPACK in Nuremberg. Hall 3, Booth 3/451. We are looking forward meeting you. Successful start in the new Year! 2017 has been a very successful year and we are looking forward very optimistic into 2018. We could say welcome to 4 new employees in 2017 how will enlarge our team. In 2018 we have ambitious and exiting plans with new products and ideas for our existing and prospective customers. We wich you all a good start into 2018 and are looking forward hearing from you soon. FINESTFOG proudly presents a new partner in Italy for the painting industry. CONDOROIL CHEMICAL will include the FINESTFOG High Pressure and Water Treatment portfolio in the CONDOROIL sales program for the Italian market. CONDOROIL CHEMICAL is a leading supplier for industrial chemicals and was established based on principals of Research & Development of innovative products, combined with customer service like also addressing customer needs in competition with multi-national companies. Please refer to marketing@condoroil.it for further inquiries in the Italian painting market. FINESTFOG strenthend the production team. Since Oktober 1st, Ronny Wetzel and Marco Caliskan are enlarging the team. Because of the very good order situation this has been an important step keep on producing "just in time". Also our logistics will improve. We are looking forward working together with our new team members. We are pleased to announce that FINESTFOG got a further strong partner in Europe. In the Czek Republic (Česká republika) and in the Slovakian Republic (Slovenská republika) the company HUMIDIRECT who is already a very well known partner for the local industry will distribute and install FINESTFOG Humidification and Water Treatment Systems. The team of HUMIFIRECT as been very successful in the last decade selling and installing Humidification and Water treatment systems in the local market. FINESTFOG will support our partners in all aspects to ensure the best customer satisfaction. We are pleased to announce that FINESTFOG got two further strong partners in Europe. In Romania the company PERGAMON who is already a very well known partner for the Romanian printing industry will distribute and install FINESTFOG Humidification and Water Treatment Systems. In Portugal the company PROJECTA a succesful distributor for industrial machines beeing mostly 30 years on the market will distribute and install FINESTFOG Humidification and Water Treatment Systems. FINESTFOG will support our partners in all aspects to ensure the best customer satisfaction in the new markets. I the last weeks FINESTFOG renewed the Car Fleet. In particualarly for the trade shows a new truck has been purchased. This truck will also be used for delivery of our systems. The fleet has been enlarged by two more VW Transporter T6 and a VW Caddy. All trucks for our service engineers are equipped with state of the art Sortimo storage systems. With this enlargement FINESTFOG will be more flexible in fullfilling customer requests. The time has come: Thursday May 4th the world largest trade fair for packing solutions open the doors. FINESTFOG is attending. In Düsseldorf we show some new Highlights: Our new compact Micro humidifcation solution is first time presented to the public. With the patended FINESTFOG stainless steel pump just only consuming 130 Watt and delivering a pressure of 80 Bar along with up to 20 Liter humidification power per hour this is the ideal pump for small production areas or office rooms. Visit us on the INTERPACK / COMPONENTS in Düsseldorf. Hall 18, Booth J08. We thank all customers for the confidence placed in us and are looking forward to the new projects! Steinway & Sons is known for traditional piano manufacturing, well-kept for over 160 years and developed to perfection. 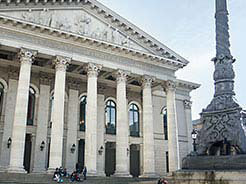 The company is well known as the founder of the modern piano manufacturing. The grand pianos and the pianos are worldwide the gold standard for highest quality and enjoy highest appreciation with professional pianists as well as the people their heart is bumping for music. Solid wood like maple, spruce, pine, beech and poplar is used for the piano manufacturing at Steinway & Sons. In many production and warehouse araes three FINESTFOG High Pressure Systems take care of a constant humidification. 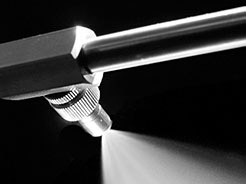 In 24 zones FINESTFOG nozzles atomize the water. The FINESTFOG Water Treatment System delivers purified osmoses water. All relevant data in each arae are logged and can be controlled using Team Viewer from any workplace at Steinway & Sons. A hot start for FINESTFOG in the new year. The strong cold period of the last weeks resulted in a high demand of humidifying solutions. Dominique Reichwald came back after 1 year maternity leave supporting the back office team. Also our technicians got new colleagues. Since November 2016 Pavol Minarcik is supporting the technical team. Pavol origins from the Slovakia and is responsible for assembling, service and maintenance. From February 2017 the team is completed by Jawed Majidi. Three years ago Jawed came from Morocco to Germany. He speaks German, English, French and Arabic and will be responsible for our international assemblations. We are looking forward working together with our new colleagues! Successful 2016 - an excellent start into 2017! We wish all our customers, business partners and friends from FINESTFOG a prosperous, happy and most important a healthful new Year. 2016 has been the most succesful year in 23 years of business. Compared to the so far best year (2015) sales in 2016 have been increased by 10%. Thank you for the confidence you put into our products and our team! There has been a very pleasing development while starting 2017. Production is running on full speed and our first installatons are already performed. We are looking forward having a good continuing cooperation in the new Year! The Pforzheim based company FORESTADENT belongs to the leading suppliers of dental technology for the state of the art orthodontist business. For more than 100 years the family owned company FORESTADENT stands for precise and inovating quality products. FINESTFOG is now supplying the production work shop with air humdification in order to achieve a healthy climate for the employees. Just in time with the cold season the compact FINESTFOG system distributing humidified air in two production rooms and two offices has been put into operation. Fully automated with the new FINESTFOG controller with a digital humidity monitor. Since in non-humidified areas a humiditiy of 30% is measured a healthy humidity of 45 to 50% is achieved in the humidified areas. The FINESTFOG central system has been planned regarding future enlargement supplying more floors with humidification. On time to the start of the Electronica 2016 Zollner AG, Zandt has ordered for two production sites a FINESTFOG Air Humidification and Water Treatement system. The systmes will be installed in both locations in 2016. Since two years a FINESTFOG humidification is operating on the production site in Furth im Wald and guarantees for a constant air humidification. Zollner AG has been founded in 1965 and is still private owned. The Zollner Group belongs to the top 15 of the EMS manufacturers worldwide. FINESTFOG has got the first order from the Republic of Iran. Anil Pack (Esfahan), one of the leading packaging companies in Iran ordered a FINESTFOG High Pressure Air Humidification system with Water Treatment and installation. The system for the new print shop will be delivered by the end of 2016. We are looking forward to a good relationship. Air Humidification from FINESTFOG is now available in Cananda and in the US. The air humidification systems will be supported by our dealer VERSO SOLUTIONS from Oakville/Toronto. Also customers from the US will be consulted. Dmytro Tuzov and Nadiia Tuzova have been in Ottobrunn October 24th to 28th for training and signing a cooperation agreement. VERSO SOLUTIONS delivers mainly customers in the printing and paper industry but will also consult potential customers from all other areas of applications. FINESTFOG and VERSO SOLUTIONS are looking forward to a good and succesful relationship. The HOLZ convention in Basel is the most important show for the wood processing industry. The show takes place every 3 years. FINESTFOG together with our Swiss partner TT-Transtech is presenting on 150m2 grinding machines, painting and humidifying solutions. The team of Rene Berger and Raffael Bojanowicz will consult you during and of course after the show. For more information please visit www.tt-gmbh.ch or drop us an email at info@tt-gmbh.ch. As reported last year, FINESTFOG installed six air humdification systems in the new print shop of DS Smith in Erlensee. This project is now completed and the systems are put into operation. More than 1000 FINESTFOG High Pressure Nozzles humidify 11 areas. The optimal air humidity of 55% is performed all over. The 6 FINESTFOG water treatment systems deliver the humidification with pure water. Also process water for the printing machines is delivered. In the future the FINESTFOG systems supply 150.000 ft2 with optimal humidity. ENPLATER a leading packaging producer in Spain. Flexible packaging products made of plastics are the main product. FINESTFOG installed at the Sarinena site a humidification system in spring 2016. This system convinced the management that in July 2016 a second air humidification system for the site in Torroella di Montgri has been ordered. Two complete systems consisting of air humidification and water treatment will humidify 8 production areas. 250 nozzles are responsible for a humidification power of 700 Liters per hour. This is the largest project FINESTFOG had so far in Spain. It is about time to say farewell. In a few hours the DRUPA 2016 is closing the doors. The FINESTFOG team says Goodbye and Farewell. FINESTFOG is saying thank you to all guests visiting our booth. Compared to 2012 FINESTFOG could host significant more visitors even though the DRUPA 2016 show was three days shorter. The upcoming DRUPA will take place again in Düsseldorf in June 2020. FINESTFOG syas thank you to all customers and visitors and last but not least to the FINESTFOG team working on the booth. Goodbye and see you latest in four years. Since December 205 the BMW production site in Landshut is using a FINESTFOG air humidification and water treatment system. The system takes care for good climate conditions in the dashboard production for the employees and the used leather material. 40 nozzles humidify two zones. Thanks to Reverse Osmoses, UV control and cycle cleaning of the pipes the owner can be sure that only clean water is sprayed. 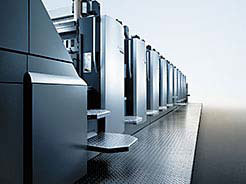 Onlineprinters GmbH is one of the leading Online Print Shops in Europe. FINESTFOG is the supplier for Air Humidification and Water Treatment Systems. Our systems are installed at three production sites. The FINESTFOG systems take care for the perfect climate during the printing process and in the digital printing. NMC Group is investing in FINESTFOG air humidification and is saving a lot of energy! Founded in 1950 NMC is a internationl leading company for developing, production and selling synthetic foams. For the production site in Eynatten, Belgium a FINESTFOG High Pressure Humidifying system with 448 Liter7hour humidifying power was installed. The system replaced an old FINESTFOG Pressed Air humidification system. The new system is using 2KW per hour. The energy saving will be 58 KW/hour. This is a good example for sustainability. At the production site in Ettringen (D) we also installed a system in 2015. In 2014 a FINESTFOG high-pressure air humidification system was installed with WEBASTO in Arad in the production hall. Especially during bonding of glass roofs a constant air humidity is required. The adhesive may not be processed at an air humidity of under 30%. Production stalls. At the beginning of February 2015, a nearly identical FINESTFOG system was again installed in the new production hall. The WEBASTO plants in Schierling and Utting, both in Germany, have for years deployed FINESTFOG air humidification and water treatment systems. Fresh fruit and vegetables have become an important part of the discounter’s business. For this reason one of the leading discounter paid special attention to this aspect when it came to the design and construction of three new logistics centres. The logistics centres in Emstek, Langgöns and Bruckberg are responsible for the distribution of fruit and vegetables to the outlets. FINESTFOG humidifies the cold-storage rooms and the auxiliary halls. These have a volume of approx. 70,000 m3. Nearly 200 high-pressure nozzles with a humidification performance of approx. 600 litres per hour provide a relative air humidity of approx. 80% at a room temperature of 14 °C. This keeps the fruit and vegetables fresh and crisp prior to being loaded onto trucks. For all three locations FINESTFOG supplied the entire water treatment technology plus two high-pressure air humidifiers and three compressed-air humidifiers for the cold-storage rooms. Domatec GmbH in Mühldorf on the Inn is a testing organization. Domatec employs a VDI-tested RLQ manager, a prerequisite for testing room air humidification systems in operation on the operator’s premises. Domatec has now tested a FINESTFOG high-pressure air humidification system according to the guidelines set out in VDI 6022 Sheet 6. The RLQ manager performed the following tests at the Mayr printing works in Miesbach: airborne germ measurements, water sampling at various system points, checks on the installation situation, review of the technical documentation, the maintenance contracts and other records. The FINESTFOG air humidification and water treatment systems passed the test with flying colours. 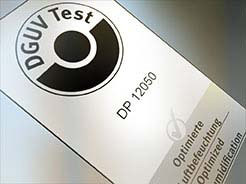 The operator will now receive a test protocol from Domatec and a test mark. Having been successfully tested to VDI 6022 Sheet 6, the FINESTFOG system can now sport another test mark, in addition to DGUV-certified »Optimized Air Humidification«. Further tests on FINESTFOG systems in action are planned for 2015. Detailed test results are available directly from FINESTFOG.